Stores are closing at alarming rate. The number so far this year is triple what it was in the same period last year, according to an analysis by Fung Global Retail & Technology, a retail think tank. There have been 5,300 store closing announcements through June 20, making it the second worst year on record at the six-month mark. 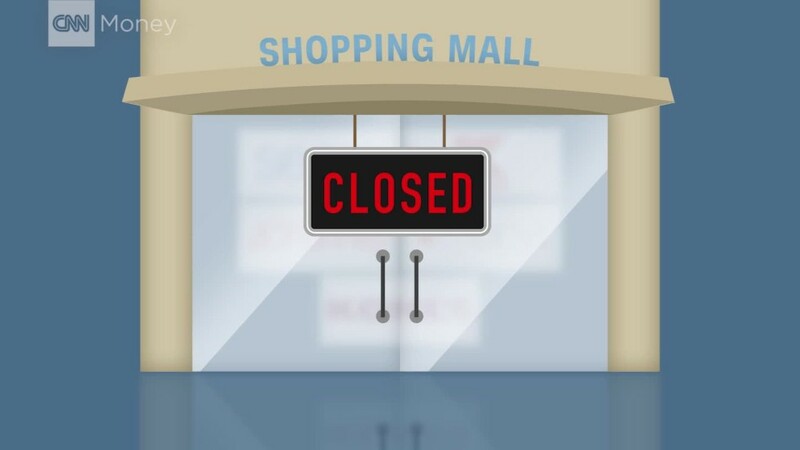 The worst year ever for store closings was 2008 during the Great Recession, when Credit Suisse counted 6,163 closings. But 2017 is poised to easily surpass that. On Friday, Sears Holdings (SHLD) announced plans to shut an additional 20 stores that are losing money, including 18 Sears stores and two Kmart locations. And the retail trouble isn't limited to the U.S., as Sears Canada filed for bankruptcy on Thursday and announced it would close 59 of its more than 200 locations. The shift to to online shopping is a big part of the problem. But brick-and-mortar stores are also suffering from overbuilding. Retail bankruptcies have also soared. There are 345 retailers that have filed for bankruptcy so far this year, according to BankruptcyData.com, up 32% from the same time last year. While many of the bankruptcies have been by small mom-and-pop retailers with one or two locations, plenty of major national retailers have also filed for bankruptcy. RadioShack, Gymboree, Rue21 and Payless Shoes have all filed this year, and other retailers already in bankruptcy, such as The Limited, have closed all their stores. Rue21 and Payless have closed the most stores so far this year, shuttering 400 each, according to Fung's totals, while The Limited has closed 250. Sears Holdings has eliminated 236 locations so far this year.